October 21, 2013 By Allyson 16 Comments This post may contain affiliate links. Read my disclosure policy. Happy Monday everyone! Over the last couple months I have been super lucky to have some amazing bloggers write guest posts for me, and today is no exception. 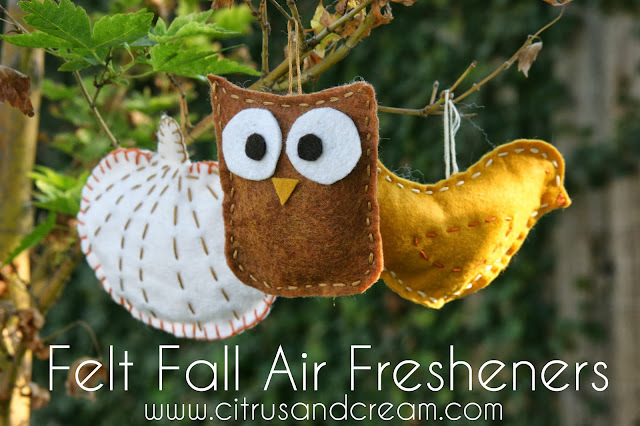 We have a great guest post from Citrus and Cream, and I am absolutely in love with the little Fall Air Fresheners they made! 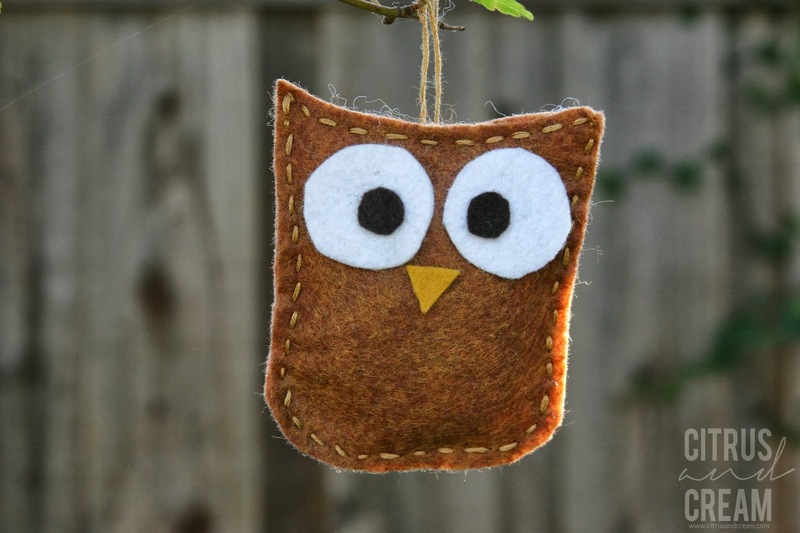 I seriously cannot wait to make some myself, and maybe even some as Christmas ornaments?! This is amazing! Lets get to it! Hello Domestic Superhero friends! We are Stephanie and Candace and we blog at Citrus and Cream. 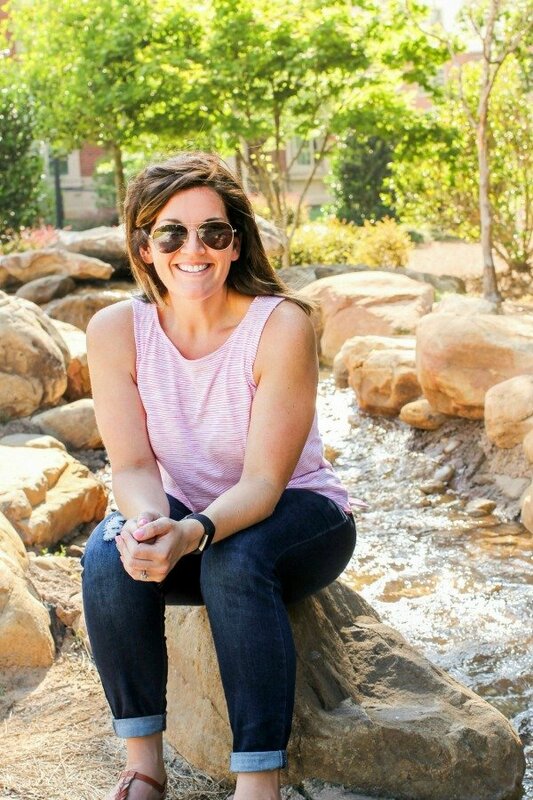 We are so excited to have the opportunity to guest post for Allyson, but first we wanted to tell you a little about who we are and why we blog! Citrus and Cream was created as a place to share the features and finds of our home. We seek to highlight the sights, sounds, and tastes we love, from our farmer’s market favorites to downtown discoveries. We have a passion for home-grown, hand-made, and farm-fresh, and we’re bringing the best of it all to the table. Each week, we share our favorite seasonal recipes, DIY projects, local activities, entertaining ideas, and much more! We hope you’ll hop over, look around, and say hello! The arrival of Fall means two of our favorite things have come: cozy sweaters and spiced treats! This festive DIY felt air freshener is inspired by both of these faves. Adorable felt fall cut-outs are stitched and filled with cinnamon and cloves. Love! Step 1: Print out the template and cut the shapes. Trace onto the felt and cut. Step 2: Take your top layer and stitch and decorate it as you’d like! Do this on only one layer, though. Step 3: Once your top layer looks lovely, line it up with the bottom layer and stitch around the edge. You can use a basic stitch or a blanket stitch, as pictured with the pumpkin. Step 4: When you have an inch left, fill with crushed cinnamon sticks and cloves. 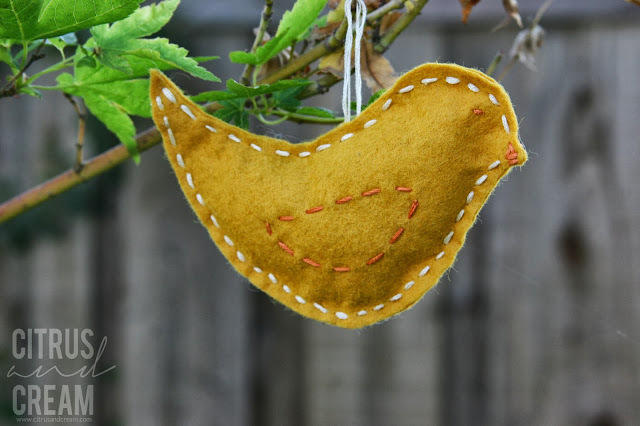 Add extra stuffing (leftover felt works) to make it soft. Step 5: Continue stitching around the edge. 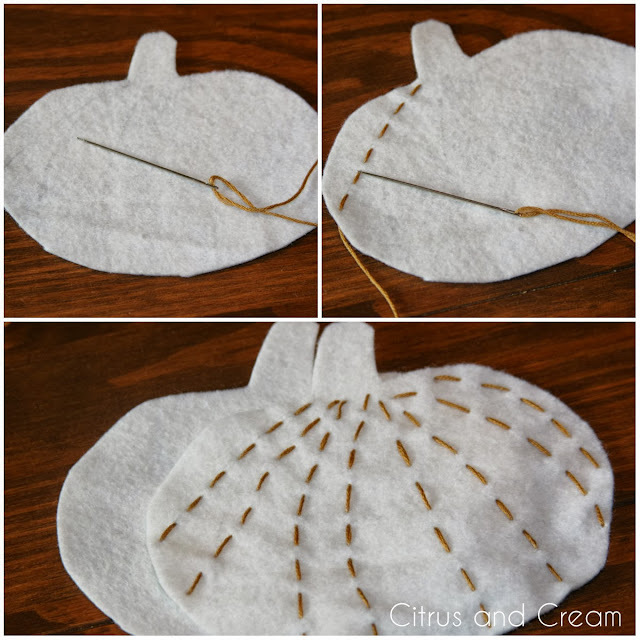 Step 6: Before stitching closed, make a loop with thread on the back of the air freshener, so you can hang it. Step 7: Hang, and enjoy the sweet scent of cinnamon and cloves! You can also fill with other herbs and spices. Lavender is nice, as well as dried lemon verbena. These would make great little gifts for the holidays! Set them on your dinner table with a namecard for your guests to go home with, or hand them out at the office. 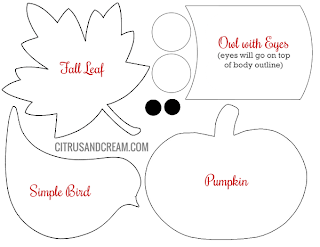 Visit here to download the shapes and print them for yourself! A big thank you to Allyson for having us on Domestic Superhero, and thank you for reading! Visit my Project Gallery to see all my DIYs! LOVE LOVE this project… right up my alley! thanks to your guest blogger for sharing! I love it too!! She was so nice to share this with my readers! Thanks for stopping by, JoAnn! 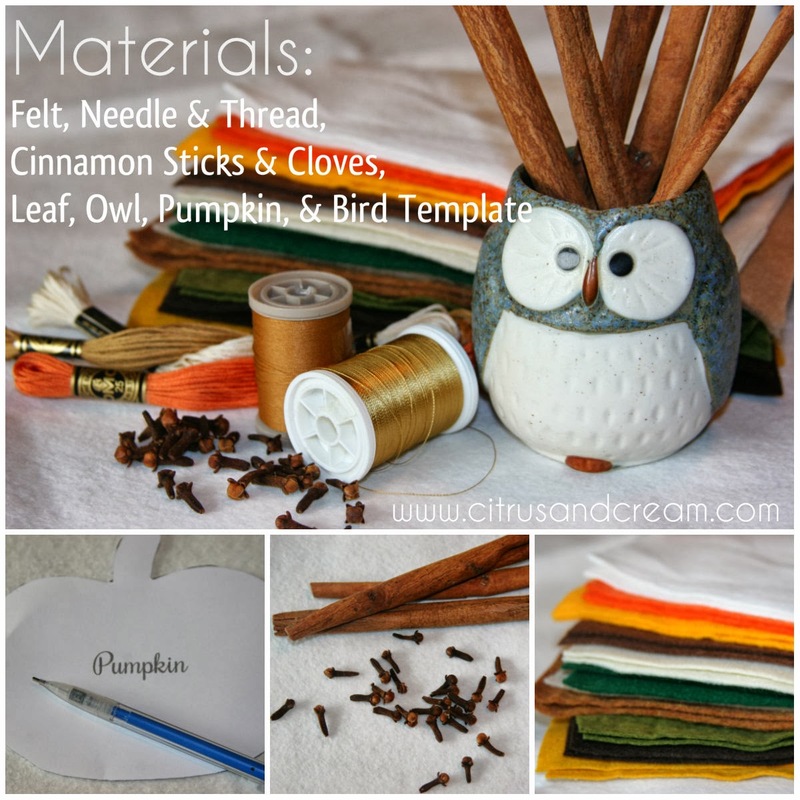 Do you have suggestions for felt? Where do you find nice quality felt in pretty colors? Debbie, I have seen lots of festively colored felt at JoAnn’s and Hobby Lobby! Make sure you print off your 40% off coupons and bring those along! These are so cute! I absolutely love them! Thanks for letting us guest post, Allyson! You have a beautiful blog! These are darling. Your creativity is outstanding! Aren’t they adorable! This is one of my all time favorite guest posts on Domestic Superhero! Thanks for sharing, Kristy! Fantastic project! I am going to show it to my daughter. She loves this kind of stuff. I suppose she will try to make it next weekend. Thank you for sharing it! PS Love this bird! Aren’t they adorable! I hope she has fun crafting them all!